"Malaysia Airlines apologises if the recent article offended any of its readers. Being an international airline, Malaysia Airlines serves international destinations and caters to different types of passengers," the official Twitter account wrote to one user. "In the January 2019 edition of 'Going Places' inflight magazine, the airline featured a restaurant that serves many different types of dishes as part of their menu. The photo depicts a cut of wagyu beef as well as squid. 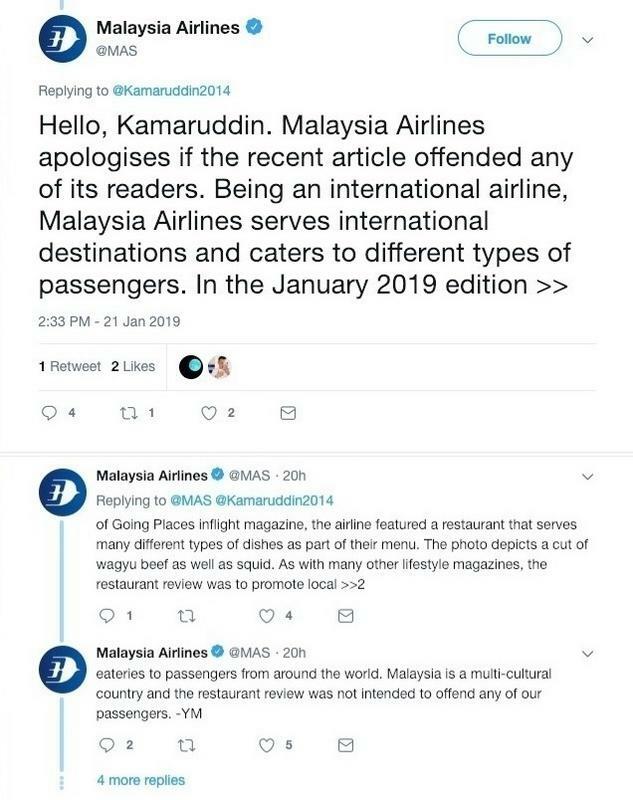 As with many other lifestyle magazines, the restaurant review was to promote local eateries to passengers from around the world," MAS said, adding that as Malaysia is a multi-cultural country, it did not intend to offend any passengers with the restaurant review. 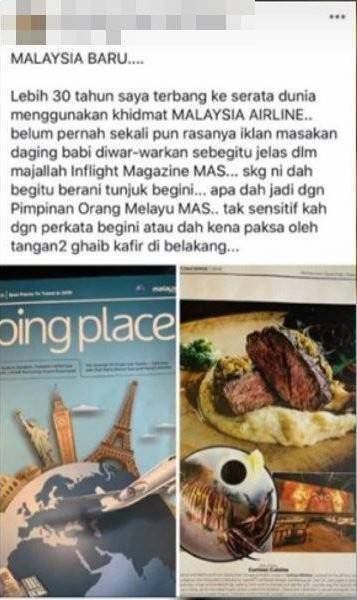 The unidentified netizen claimed in their post - which was attached to a Sinar Harian report - that in "more than 30 years" they have been flying with Malaysia Airlines, they have never come across an ad that "blatantly promotes pork" in its in-flight magazine. The caption below the photo highlights a local Spanish gastrobar, which specialises in iberico pork dishes. 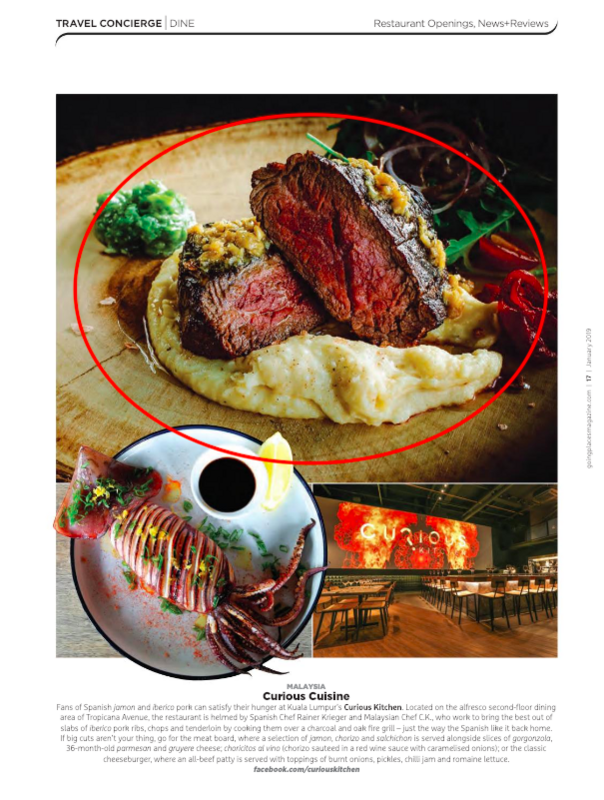 The confusion likely stemmed from the fact that the photos were not captioned to identify the dishes, but it is believed the dish in question is a "braised Aussie wagyu" dish. "Although an apology has been issued, we hope MAS will be more sensitive towards this issue. 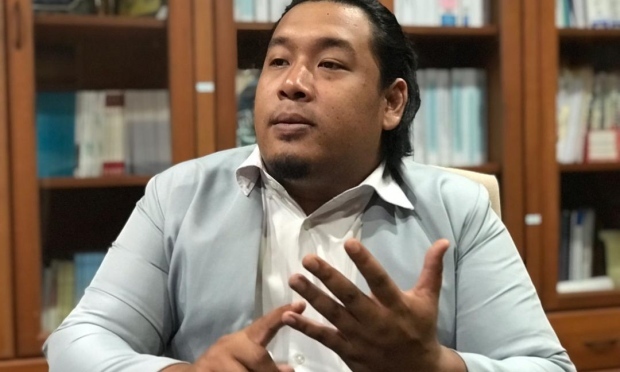 The incredibly embarrassing incident should not be repeated," Ridzuan told Sinar Harian. "Especially when Malaysia is referred to most of the world, especially Islamic countries, for the development of halal food products."